Legend has it that Queen Cleopatra, the ancient woman of great beauty has used medicine that came from the Dead Sea to cure her ills and through time this amazing place has been revered for its healing powers by many who have experienced it. Sad as it may seem but not everyone has the resources to fly to Jordan to get a healing dip at the place of refuge of Queen Cleopatra, but the sound news is that we don’t necessarily have to be in Israel or Jordan to experience the healing benefits of dead sea salt baths, our home bathtubs can be a convenient venue to experience it. There are now commercially available Dead Sea salt baths; a quick visit to your favorite department store can let you bring home sustained benefits in a pack. Reduce Stress. Dead Sea waters is known to contain 21 different minerals – sulfur, zinc, calcium, potassium, chloride, iodide, magnesium and many more, they’re known potent elements which work to nourish our body. And since getting a trip to the actual Dead Sea is quiet expensive, soaking in warm water speckled with Dead Sea salt granules and readied at our Whirl baths installed at home is the best less expensive alternative we can do, doing this can support our effort to detoxify our body by removing toxins and its byproducts. Relief from insomnia. Study show that deficiency in magnesium has a correlation to poor sleep and as we all know Dead Sea salt has a high concentration of magnesium, so taking time to soak in a warm salty bath allows your body to absorb the mineral effectively through your skin and in effect will help you put to a good night sleep. Relieves muscle joint pains. For older people arthritis pain can be very exasperating. For years it has been a proven natural remedy that Dead Sea Salt bath can significantly reduce and relieve arthritis pain. Soaking in warm sea salt bath at least 20 minutes a day can reduce the swelling and discomfort brought about by this joint disorder. Heal skin diseases. 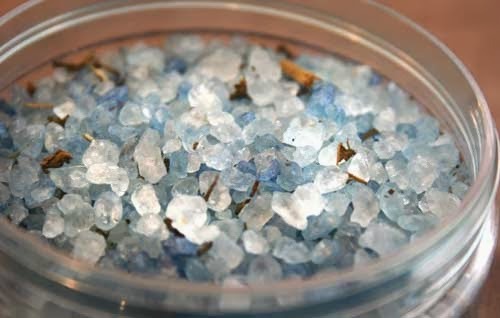 Common skin problems like psoriasis, eczema can be best naturally treated by sea salt baths. Many patients have spoken that regular soaking to salty warm bath has improved their skin condition and has noted relief from itching and scaling. To let you get started, fill in your bathtub with warm water and add; 1 cup of Dead Sea Salt, 10 drops of lavender or lemon, candles and music to set the mood. Enjoy, take your time and relax.